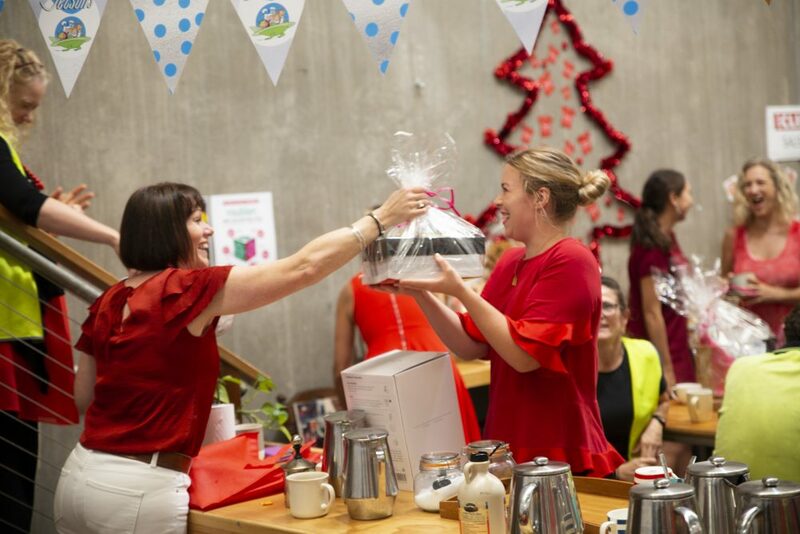 In lieu of Secret Santa or the exchange of Christmas gifts, the team at Unique host fundraising for a local charity each year. This year, our chosen charity was the Daniel Morcombe Foundation. The Daniel Morcombe Foundation Inc. is committed to Keeping Kids Safe. Established by parents Bruce and Denise Morcombe in 2005 after their son Daniel was abducted and murdered in December 2003 while waiting to catch a bus on the Sunshine Coast. The Foundation was established as a lasting legacy to Daniel and now has two main aims; to educate children on how to stay safe in a physical and online environment and to support young victims of crime. In the lead up to the event, Uniquers were invited to donate a prize for the charity raffle. Our clever team of Uniquers submitted handmade jewellery, massages, Australia Zoo vouchers, artworks, facials, dinner vouchers and so much more! Thanks to the overwhelming generosity of the team, we were able to donate more than $700 to the Daniel Morcombe Foundation! On the day, Uniquers were invited to wear red, bring along a plate of food to share and a gold coin donation. 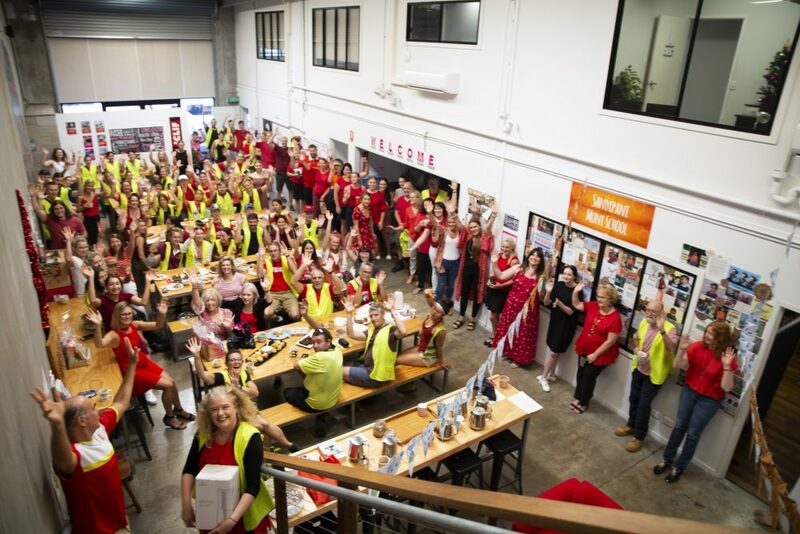 Holly Brennan, the CEO of the Daniel Morcombe Foundation was greeted with a sea of red outfits, an array of mouthwatering morning tea items, and an incredibly supportive and appreciative welcome from all! On behalf of the team here at Unique, we wish you all a very Merry Christmas. Stay safe, look after one another and if you’d like to donate to this incredible charity, you can do so here. Who doesn’t love a bargain? At Unique, we’re all about celebrating and supporting a good cause, especially when it leads to a new wardrobe item for as little as a gold coin donation! After spring cleaning our closets for pre-loved items to share, Uniquers rummaged over two lunch breaks to find some new favourites at our annual Pre-Loved Clothing Charity Day! One of our sales team superstars, Amy, is on a mission to raise funds for Love Mercy, an incredible charity that seeks to empower communities in Northern Uganda to overcome poverty caused by the horrors of war. Amy is aiming to raise $7500 to help build and maintain a well for one of the local communities in Uganda. Sparked by having to walk only 500m to fill up water bottles from a tap while on a school camp, Amy couldn’t fathom the challenge of having to walk kilometres on end to seek out clean water for daily living. Needless to say, we fully support Amy’s mission and all remaining clothing was donated to Amy to support the cause. The generosity and compassion that we see, hear and experience from the staff at Unique never ceases to amaze us, and we couldn’t be more proud. 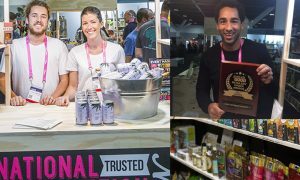 Held at the International Convention Centre (ICC) in Darling Harbour, the Naturally Good Expo is Australia’s largest trade show for all natural, organic and healthy products and services. Each year we attend as a platinum partner to showcase our top sellers to the most influential people in the industry and work to build mutually beneficial connections with retailers and our suppliers. This year we unveiled our biggest stand yet – the largest at the show! In case you missed it, here’s how our Naturally Good Expo 2018 experience happened – by the numbers! It takes a whole lot of planning, coordination and project management to transform our original ideas into a real-life masterpiece at the Naturally Good Expo. Thankfully, we have one incredible team that makes all the late nights, early mornings, last minute hiccups and hours spent on emails and phone calls integrate into a seamless, successful event! While we couldn’t do it without many hands on deck, there is always one person in particular that plays a pivotal role in our Naturally Good experience – our Marketing Executive extraordinaire, Carol. Thank you for all that you do! This year the Unique stand took up two of the largest sites at the expo. The updated stand was dotted with sampling booths, decorated with hot new products and buzzing with staff, suppliers and retailers – it was a sight to see and the energy was incredible! With the Australian Pharmacy Professional Conference & Trade Exhibition looming the following weekend, most of the team had already returned to the Sunshine Coast by the time the event ended. The staff and suppliers that remained (thank you, East Bali Cashews and Natural Evolution!) packed down the stall in a record time of 3 hours! 4. FOUR SIGMATIC, MY MAGIC MUD, UPTON’S NATURALS & MORE! Award-winning international and local creators, innovators and makers of the hottest, must-have health products joined us as part of our ‘Meet the Makers’ event – including Four Sigmatic, My Magic Mud, Manitoba Harvest and Upton’s Naturals! Each supplier that joined our stand had the opportunity to promote and sample their products at their very own sampling booth. This allowed the suppliers to strengthen their retailer relationships and cement their place as a leading brand in the health and wellness space. Something we’re beyond proud to help facilitate! The entire event took our team, Carol in particular, a grand total of six months to prepare for. From supporting the Naturally Good Expo team with our Platinum Partner duties, to coordinating stock, and logistics of the stand set up and staff involved, there was so much to be done and we couldn’t be prouder of our team and what they’ve achieved! Across two huge days, we served up thousands of product samples to 7000+ health-focused expo attendees – also known as a lot of chopping! Sampling allowed retailers and industry leaders to gain better insights into the suppliers products, build stronger connections, learn the backstory, and discover what niche the product can fill in their stores. It’s a super important step towards long-term success in stores! While the pack down was somewhat of a breeze, Rome wasn’t certainly not built overnight. Our largest stand ever took a whole lot of teamwork and around nine hours to set it all up! That nine hours of set up involved the unpacking and merchandising of 10 full pallets of product, equipment and stall materials! Despite the whirlwind nature of the actual event, we put our time and effort into these events to support our suppliers, build and strengthen our retailer relationships and meet new faces along the way. We couldn’t do what we do without their support and for that, we’re always grateful! If you missed out this time, don’t worry, we can’t wait to do it all again, so we’ll see you next year! AFTER A FUN DAY OF SET UP YESTERDAY, WE’RE READY FOR AN EPIC APP EXPO! FIND OUT ALL THE DETAILS INCLUDING 4 MAJOR REASONS WHY YOU CAN’T MISS THIS INDUSTRY-ONLY EVENT! APP stands for The Australian Pharmacy Professional Conference & Trade Exhibition. It is the Pharmacy Guild of Australia’s annual national conference and the largest pharmacy conference and trade show in Australia. The event offers attendees a comprehensive four-day educational program, exciting social activities and a trade exhibition showcasing the latest products, services, and industry information. The conference and trade exhibition is being held at the Gold Coast Convention & Exhibition Centre (GCCEC) and kicked off last night with a welcome event. The exhibition and conference will continue until Sunday 6 May 2018, so it’s not too late to register at the door and make the most of this weekend! 4 Major Reasons Why You Should Be There! 1. There will be over 400 trade stands showcasing the latest industry products and services. Including us! We’ve set up a Unique stall, representing all things natural and organic. If you want to be ahead of the competition, the trade exhibition is where you need to be to find the latest products and the items your customers are crying out for in store! 2. Most conference sessions will be eligible for CPD points. As health professionals and educators, it’s essential to keep up your continued education. Use the event sessions to earn yourself CPD Accreditation & Credits. The APP team will be able to provide you with a summary that outlines how many credits have been allocated to each session. 3. There will be over 70 international and national guest speakers. If you’re looking for a little inspiration, you’ll find it at APP! Hear from a large range of inspiring and educational speakers including Ita Buttrose (Businesswoman), John Batistich (Amazon Expert), and Dr David Jacka (Addiction Medicine Specialist). 4. We’re launching new products into the pharmacy channel! 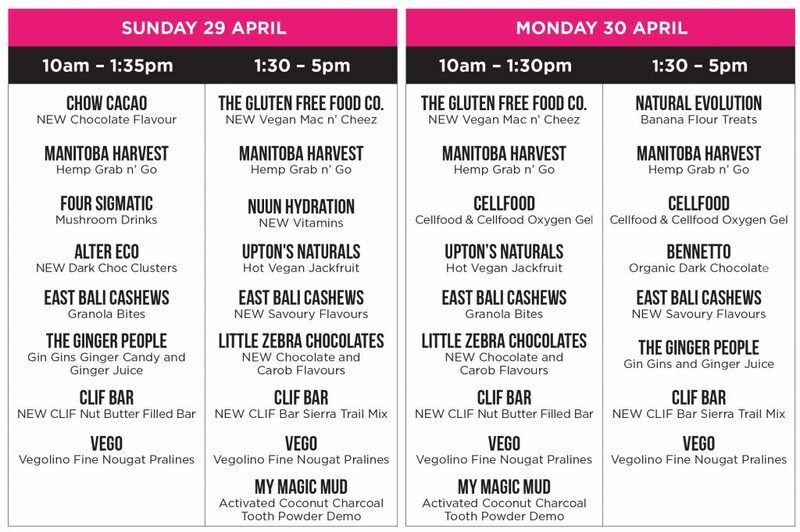 At our exhibition stall, you’ll be able to chat to us about the fastest-selling natural health products and be one of the first to discover exciting new ranges, including the incredibly popular Manitoba Harvest hemp food range of hemp seeds, snacks, and smoothies. We’ll be showcasing our top sellers and natural pharmacy range recommendations including an eco-friendly staple for health-conscious mums – Wotnot Biodegradable Baby Wipes! Plus, Dr Organic’s new, on-trend Charcoal range will be on display, as well as the new look ACURE natural body care collection! Registrations will be available onsite at the Gold Coast Convention Centre from Thursday 3 May 2018. We’re ready and waiting to meet you, so come and say hi before it’s too late! JOIN US AT THIS YEAR’S NATURALLY GOOD EXPO 2018 TO MEET THE MAKERS OF THE HOTTEST PRODUCTS IN HEALTH AND SAMPLE NEW ITEMS BEFORE THEY HIT THE SHELVES! 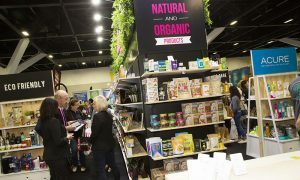 Hosted at the ICC in Darling Harbour, Sydney on the 29-30 April, the Naturally Good Expo is Australia’s largest trade show for all natural, organic and healthy products and services. 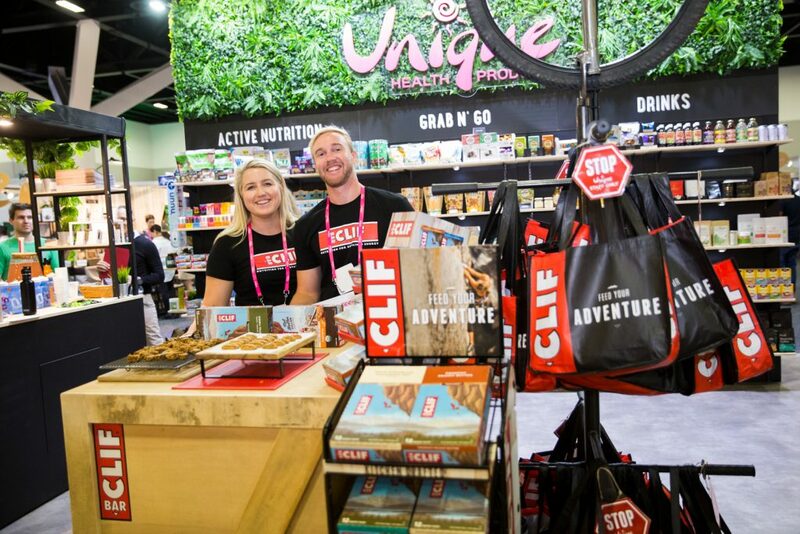 As a platinum partner and exhibitor, we will be launching over 80 hot new products including completely new brands and exciting range extensions from some of Australia’s most popular wellness companies including CLIF Bar, Alter Eco, and Melrose! But the best part of the weekend, if we do say so ourselves, is that we will have award-winning international and local creators, innovators and makers of the hottest must-have health products spending time at our stall. You’ll have the chance to meet many special guests, including the founders of My Magic Mud and Upton’s Naturals! Gain first-hand knowledge, sample the items and discover the passion behind the products that are flying off the shelves. The Unique Health Products stall will be an unmissable hive of activity! You can find us at stalls i28 & j28 in the Exhibition Hall. Secure your tickets here. KNOWN FOR BRINGING TOGETHER RETAILERS, DISTRIBUTORS, BRAND OWNERS AND NATURAL HEALTH INDUSTRY EXPERTS, THE NATURALLY GOOD EXPO 2017 DID NOT DISAPPOINT! This year Unique went bigger and better, bringing hundreds of brands and thousands of products to display. The team also offered hours of tastings and sampling, countless amounts of generous goodies bags and Dale (UHP Managing Director) and the team shared the wealth of knowledge gained from being in the industry for over three decades. 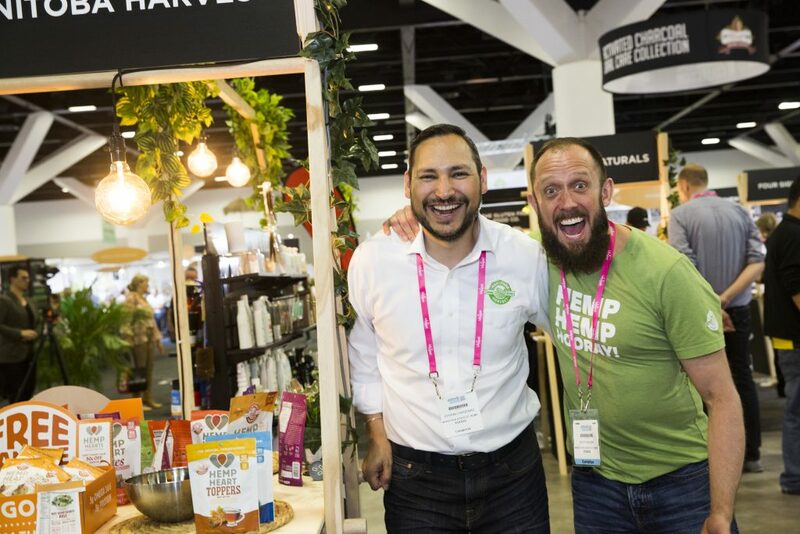 For those who were amongst the 6,322 who attended The Naturally Good Expo in Sydney, it was fantastic to meet you and discuss our industry trends and what’s new! As the biggest trade show in the Southern Hemisphere for everything healthy we were thrilled to be surrounded by like-minded professionals. For those who unfortunately were unable to make it this year, we’ll catch you up on what you missed. Naturally Good 2017 is the ONLY place to see, taste, sample and order the newest, latest-trending and in demand products your customers want! Every year we aim to bring Unique’s diversified, fun culture, expert customer service and strong business ethics to the expo. For those of you that have toured our Sunshine Coast headquarters, you’d know it’s not an easy task! With over 300 exhibitors, it was one busy environment. We designed our stand specifically to create a space that was easy for our visitors to see, touch, taste and interact with our company and the brands we represent. From the green foliage to the clear signage, the space was designed to help our visitors find exactly what was needed while also understanding our natural origins and what we stand for. We had every category covered: active nutrition, grab n’ go, healthy snacks and drinks, superfoods, natural remedies, pantry and body + hair care. What was available for tasting and sampling? Our tasting and sampling booth was a huge hit! 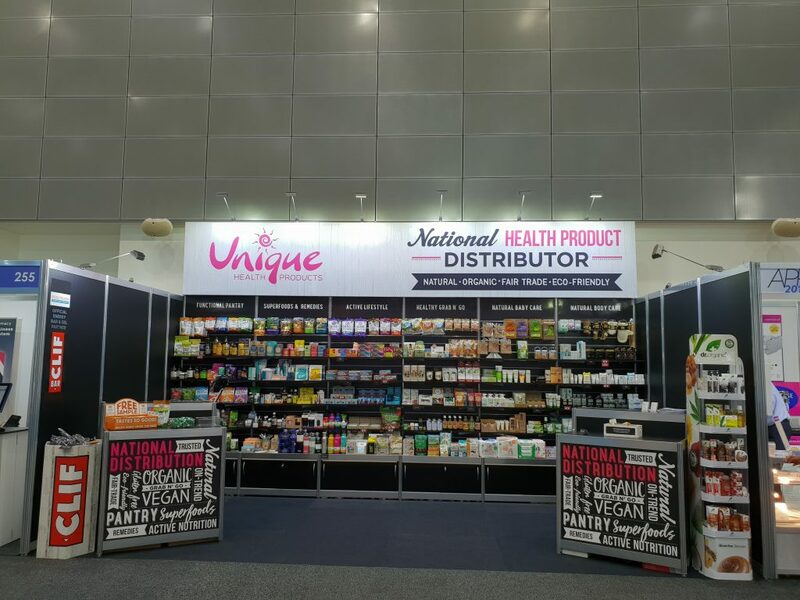 Top-selling brands travelled as far as Indonesia, Japan and the USA to showcase their ranges of delicious, nutritious food and innovative natural beauty, body care and remedies at Unique’s Naturally Good Expo stall. What was in our goodies bags? On top of all our tastings and sampling, generous goodies bags were given out filled with our top-selling and new products. Full sized products, sample sizes and brochures filled with information, they really had it all! Brands that featured in our goodies bags included Little Mashies, Tooshies By Tom, ACURE Organics, Nature’s Gate, The Whole Boodies, My Magic Mud, Alchemy, Redmond, Amazing Oils, Mingle, Comvita, Dr Superfoods, The Natural Family Co., The Ginger People, Epic, Power Super Foods, Protein Supplies Australia, Dr Organic, Hanami, Cellfood, Nuun, CLIF Bar, Bragg, Health 2U, Point Pharma, Amazonia, Skin B5, Giovanni, Minor Figures and Essential Oxygen. All the new brands and products received lots of hype, in particular, Upton’s Naturals, East Bali Cashews Granola, Chef Soraya, Monica’s Mixes Protein Patty Mix as well as the new ACURE Organics facial wipes and My Magic Mud Activated Charcoal Toothpaste. Golden Grind even won best beverage product at The Naturally Good Expo 2017! Trends that proved to be booming at the expo included vegan snacks, nutrient-dense foods, healthy grab n’ go and healthy speed scratch. If you did miss us this year, you may want to know – will Unique be back? It’s a definite for us! We can’t wait to do it all again. Next year will be bigger and better again, and we look forward to bringing our new exciting products along for you to taste, touch, try and discover! Naturally Good Expo is the one place where retailers can research all the different products and trends in our industry in just two days. Even if you had to travel from the other side of the country, we highly recommend it! 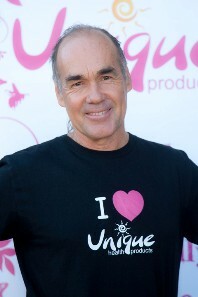 Find out more about the Naturally Good Expo here. You’re looking at an amazing bunch of people that I am fortunate to call my adorable staff. They contrived to stage a fake evacuation procedure that suddenly converts into a flash mob and is then artistically topped off with a spontaneous breakdance performance, by none other than the only person in the video that didn’t know this was going to happen. Welcome to the world of Unique. You see Pavel, our IT Manager, was leaving us on this very day after 5½ years of devoted service to our health product distribution business here on the Sunshine Coast in beautiful Queensland, Australia. It just so happens that Pavel is also a top Australian B-boy dancer. So, a plan was hatched by Donna, Unique’s head of People & Culture and beautifully embraced by all 150 staff from goods receiving to customer service. What followed was about six weeks of clandestine dance practise (all done after “Elvis had left the building” of course. The result…..well, as you can see, it was quite simply awe-inspiring. In a world that is often struggling to hold itself together, this is a feel good story about a super nice soul and a bunch of friends who wanted to show him how much they cared. THE UNIQUE HEALTH PRODUCTS PEOPLE AND CULTURE TEAM REGULARLY ORGANISE LOCAL, NATIONAL AND INTERNATIONAL FUNDRAISING INITIATIVES FOR ALL STAFF TO HAVE THE CHOICE TO SUPPORT NON-FOR-PROFIT ORGANISATIONS. Our ongoing charity partnership is with the beautiful girls at Sandipani Muni School, but this time the good will was passed to our furry little friends at 4 Paws Animal Rescue. 4 Paws Animal Rescue provides refuge for homeless dogs and cats on the Sunshine Coast, Queensland and beyond. The local, non-profit organisation is run entirely by volunteers and relies solely on donations, both monetary and goods. Over several weeks Unique staff sorted through linen, filled their shopping carts and emptied their pennies, all to help as many disadvantaged cats and dogs as possible. The team were able to raise hundreds of dollars and donate baskets and baskets of needed goods including animal food, flea and worm treatments, towels, leads and more. The 4 Paws Animal Rescue Team including adorable pomeranians Billy Ray and Miley Sue, accompanied by 4 Paws Animal Rescue founder Julie Penlington, came to visit Unique and collect the donations over a celebratory morning tea. THIS YEAR’S AUSTRALIAN PHARMACY PROFESSIONAL CONFERENCE AND EXHIBITION (APP) SAW 6,500 ATTENDEES GATHER AT THE GOLD COAST CONVENTION AND EXHIBITION CENTRE IN EARLY MARCH. Australian pharmacy retail managers, pharmacists, pharmacy groups’ buyers, pharmacy assistants, industry suppliers, as well as national speakers all congregated to share knowledge and identify what’s happening in the industry. Differing to previous years, this year the interest had clearly shifted in favour of natural alternatives and healthy snacks. With trends identifying that customers are putting high importance on products with attributes such as natural, high protein/low carb, gluten free, vegan and sugar free – this is where the industry interest laid. Protein powders, clean snacks, beauty2go face masks, charcoal toothpaste, active nutrition, natural baby care, magnesium oil, coconut oil and natural remedies, like the popular Martin & Pleasance range, all had lots of interest during the three-day event. Consumer demand and health market trends seem to be the main reason for a shift in the increased need for natural products. APP surely identified the huge opportunity for pharmacy to expand into this category. A little about the exhibition atmosphere. Winning best stand award at the Naturally Good Expo in 2016 put the pressure on to go one even bigger and better for APP 2017. With a dedicated and trained expo and merchandising team, the Unique stand certainly pulled together a crowd, representing our brands and our dedication to the industry. Retail managers and pharmacists took tips and photos of the merchandising and range to help them replicate it in their store. Our stand featured an extensive display of our top sellers in the pharmacy channel. Product categories included: pantry (gluten-free and other diet-specific options), superfoods and remedies, healthy impulse-buy, active nutrition, eco-friendly products, natural baby and body care. The stand also clearly displayed plenty of new product trends on show. 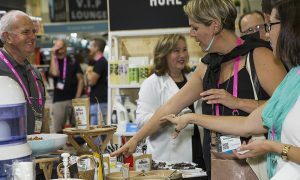 To ensure our top selling brands were understood by the pharmacy channel, we had suppliers including Bounce Bites, Amazing Oils and Wotnot providing demos and we also offered taste-testing of many of our top sellers. 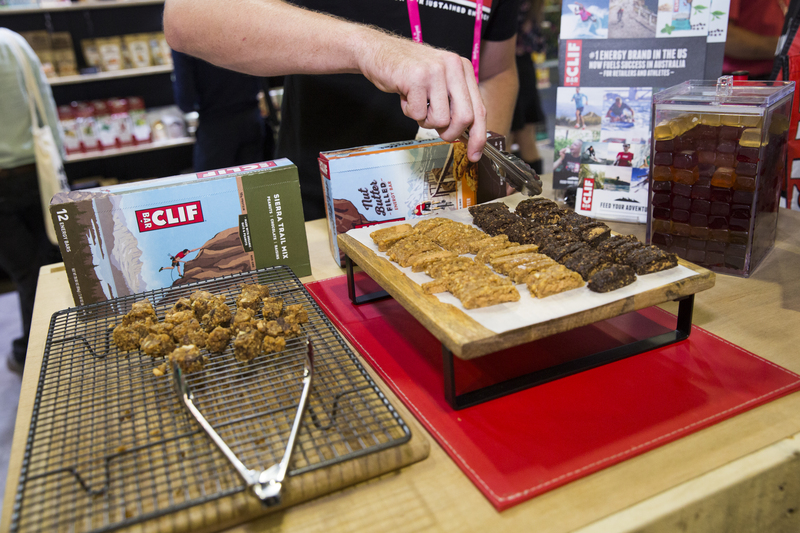 Attendees enjoyed samples of CLIF Bars, Bounce Bites, East Bali Cashew Cacao Popcorn, Seaweed Superfood Popcorn Turmeric and The Ginger People Ginger Rescue. We received complements for Unique’s large range of brands and best customer service in the natural industry with our sample bags being highly sought after. Our show bags featured all the latest trending products in the natural health channel including My Magic Mud Activated Charcoal Toothpaste, Alchemy Turmeric Elixir, The Ginger People Gin Gins, CLIF Bar energy bars, Wotnot facial and baby wipes, Acure Argan Oil, Little Mashies, Jack n’ Jill Gum Wipes, Protein Supplies Australia WPI and Dr Organic Hemp Oil Hand Cream. What did we have on offer to help pharmacy retailers expand their natural category? If you were one of the thousands that did attend, you would have had the opportunity to touch and try the products, to get more information about the complete wholesale service Unique offers to support your growth through sales tools, visits from our representatives, demos and more. If you didn’t get a chance to visit us, contact us for our pharmacy range recommendations booklet and any information you need on starting or expanding your natural health product range in your pharmacy environment. Attending APP 2017, we hoped to provide an opportunity for pharmacy to sell products that encourage healthy lifestyles and prevent disease and the chance to evolve from the traditional format of pharmacies into a complete health provider. Natural health and beauty are growing rapidly in all retail channels, so it is a great time for retail pharmacies to tap into the growth opportunity. 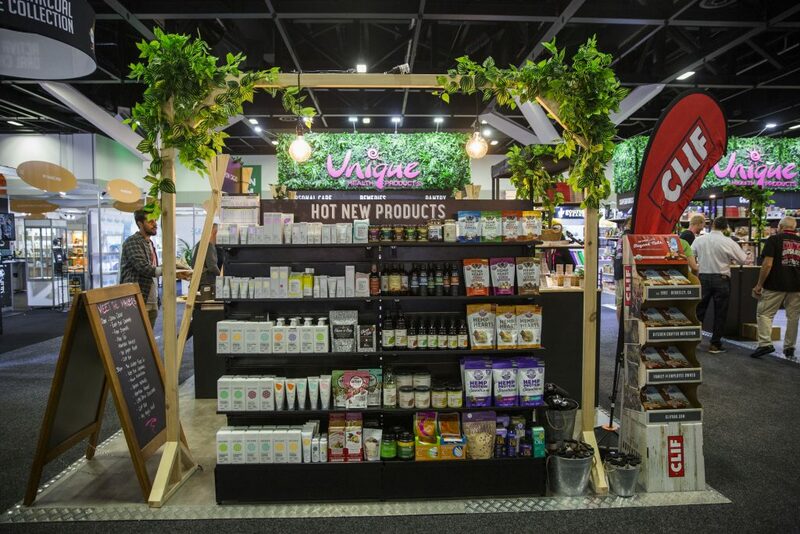 We are excited to be working with all retailers who support our industry and are now working hard to create even more excitement at our stand for the Naturally Good Expo in June. If you would like to visit us at APP next year, we’ll be there with the same big size, but an all-new and exciting selection of top selling products to show. Keep an eye out for release dates and information here. If you want to expand your health product offerings at your pharmacy, you can easily get started here.